This entry was posted on March 10, 2019, 11:33 and is filed under Arts and Crafts, Patchwork and Quilting Projects - General. You can follow any responses to this entry through RSS 2.0. You can skip to the end and leave a response. Pinging is currently not allowed. I love the wayward foxes and dare I suggest you do the backing fabrics the other way round, this way I think you loose the foxes a bit., or maybe add the white border then the triangles. Either way the parents are going to love their quilt and in time baby will make it into a den. I’m liking the triangles as the front but I think a narrow border in between might be the way to go. pieced front with a narrow border before the larger sashing goes on. It would help to separate the patterns so they stand out. I used all the scraps to make the panel for the back but I am going to frame it I think – probably with the white spotty. By the way, I’ve been having a laugh about reading your Romanian adventures but, when I try to follow you by email – which is the only way I usually remember to read blogs – it tells me I have been unsuccessful and should add a valid email address. I tried two – both of which are definitely valid – so I’m not sure what’s happening there. Love those new fabrics, and I’m glad you abandoned all those version with every fox upright, as I feel this works the best by far. 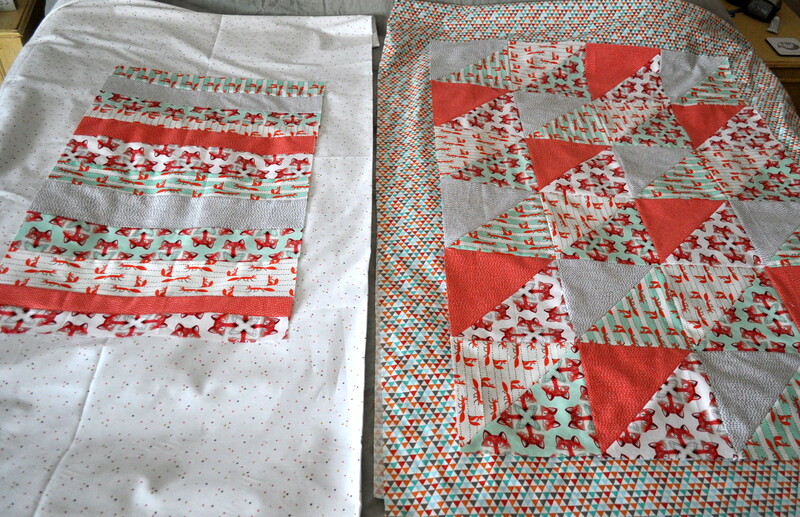 Myself, I’d add a narrow white spot border before that gorgeous triangles fabric, just to give the eyes a rest. It’s so cheerful, like bunting! Bunting! That’s it – I knew it reminded me of something. I’m supposed to cut 5 inch border strips so I think I’ll cut the white confetti at 1.5 inches and make the outer border that bit smaller. I do have some white with tiny black flowers which would also work as the narrow border and I have been eyeing up the confetti spots as a possible summer blouse which might be swaying my decision although I have got 3m of it. Such happy, fun fabrics! Whatever you choose to do will be beloved, I’m sure. Having said that, I tend to agree with the others that a border of the white dotted fabric would give a visual resting place between the busier parts. Thanks Kerry, I think I’m going to be heading down the narrow border route which, in my head, I knew I should do really but the riot of colour was seducing me which is strange as my usual tastes are more subdued. Good! My vote is also for an extra border to visually calm it down a bit. Done and it worked 😃 How are you getting on with your own little one Emmely? She’s 2 already! Can hardly believe it and she’s doing great. The second one is on it’s way (!) 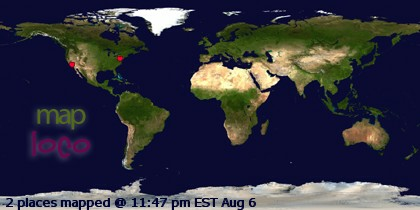 which sort of explains my blogging silence and lack of sewing activity. That certainly flew by! 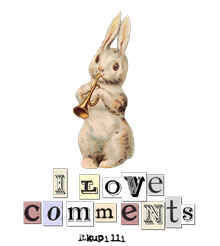 I can totally understand your partial absence from blogland and congratulations on your news. There’s only 18 months between my two but I remember that time before they went to school really fondly. I never made any appointments before midday if I could possibly manage it, so we spent lovely, lazy mornings looking at books, watching Sesame Street and just enjoying each other’s company. I was also dog tired most of the time of course but it was still lovely. Only 18 months, wow. I’m glad it’s a bit more than that to be honest. I still had to carry my daughter around a lot when she was 18 months and it’s definitely easier now that she walks around by herself (except when she runs off…). My vote too goes for a border of stripes in between. 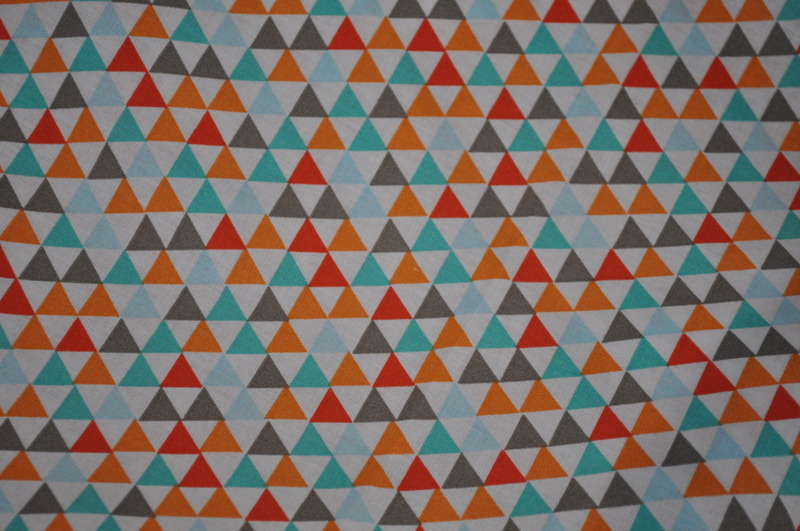 Loving the triangle fabric, works so well with what you’re already done – great find. Am wondering how big is a baby quilt? I have a couple of fat quarters I’m thinking I might turn into a quilt for my great nephew that’s due in June. Well a decent size for a cot or toddler bed would finish at around 36 x 50 inches but you could go smaller for a baby’s wrap around snuggly blanket, say 30 x 40 inches ish. I’ve done the deed with my quilt top now – no stripes in sight though- did you mean spots? Ha ha! Yes, I meant spots. Doh! By the time I arrive it’s all done and dusted! It’s going to be much loved I’m sure and someone will grow up with an inexplicable fondness for foxes……….. I hope so – and not a fear of them. I only say this because, being an over imaginative child, I often had nightmares and one was caused by having a patchwork hexagon quilt on my bed which caused me to wake up screaming because I thought I was being suffocated by a gigantic tortoise. The strangest part of that story is that I had a patchwork quilt at all as nobody else in my family sews, let alone does patchwork, so where it would have come from I don’t know. My Mum told me about this and I imagine it was probably just a bed cover with a hexagon type pattern on it. Funny what you remember. Oh that’s a strong memory to have – it’s good you won’t be sleeping beneath the foxes! And I guess you won’t be in a hurry to make a tortoise quilt either…… It’s odd how memory works, stuff from half a century ago comes up from out of the blue sometimes and other times I can’t remember where I left my keys. They are nice fabrics aren’t they – I can’t remember where I bought them but they were in a bundle of coordinated designs and colours and I wanted to keep them together. This seemed ike the perfect opportunity. Gorgeous wee quilt, the little one’s going to enjoy finding all the foxes as she? grows up. Good idea to add the calmer white spotty border first. Oh yes, amen to that, auntie! It’s a great baby quilt, and I agree that the direction doesn’t matter. I think I would put a skinny confetti border, but I don’t think it’s a world-shaking difference. Go with what you like best and have time and energy to do. Well, the front is finished – now I have decisions to make about the back but I think that will be simpler to decide on. It’s gorgeous. Love the triangle border (with or without strip). It’s like being in a framing shop, isn’t it, with the pressure of deciding what best fits a much loved picture! It is a bit like that – I think I’ve made the right decision though. Just got to sort the back out now. 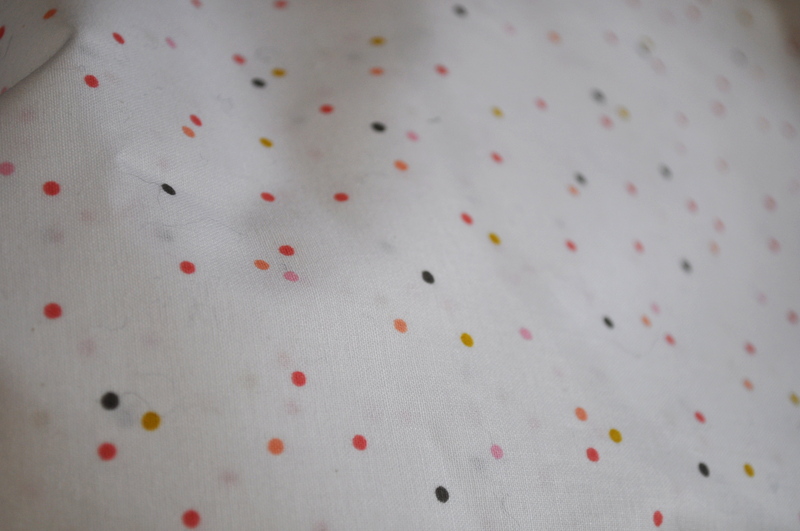 I’ve suddenly decided that confetti print would make a pretty summer blouse so I’m being a bit ‘precious’ with it now and hoping to save 1.5m of it but I won’t do it if it would spoil the quilt.